A R D Mac Electric, Inc. is a full-service electrical contractor serving the greater San Francisco Bay Area. 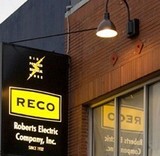 We specialize in Commercial, Industrial, and Residential electrical services as well as Lighting Maintenance. 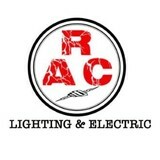 If you are looking for a San Francisco electrical contractor or licensed electrician, call A R D Mac Electric, Inc. and get a no-risk bid consultation for your project. Our experience and results in electrical contracting services will exceed your expectations. Our project management services work directly with your architects, facility managers, and building owners to ensure the electrical project is created properly, constructed within specifications, and delivered on time and most importantly to the Client's satisfaction. Libby Electric is a full service electrical contracting company and lighting design service with over 20 years experience in the Bay Area. Our expertise is with residential, small business and light commercial with a focus on lighting design and low consumption options for new and existing systems. 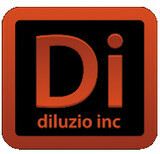 We pride ourselves on our collaborative approach to arrive at a design and installation that is elegant and functional. 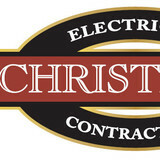 Fully service electrical construction company servicing the san francisco, ca. bay area. A full service electrical contractor serving Sonoma County, Marin County and Napa County. Since 1978 we have been approaching homeowners with the specific intent of creating trust. By consistently performing in a manner that distinguishes us from our competition, we demonstrate our planning expertise, provide the customer service we promise, and prove that our client is the most important member of our business. 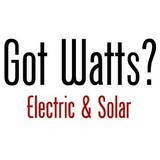 Our services provided are solar contractor, mill valley electrical contractor, sonoma county electrician, electrical contractor, electrical repairs, napa electrician, marin electrician. Urban Energy, Inc. is a full-service Electrical Contractors operating in the San Francisco Bay Area specializing in: Commercial, Industrial, Residential Electrical, Home Automation Installation, and Lighting & Design Services. With 20 years of expertise, we recognize how collaboration and workmanship create caliber and repute. Our diligence and regard to our clients' needs are reflected in every project completion. Urban Energy Inc.’s operator and owner, Fergal Mac Donnell, is an established electrician hailing from the county of Mayo, Ireland, with a career spanning 20 years. Since its inception, Urban Energy has successfully completed hundreds of projects. Our expectations center on meeting and exceeding the client's anticipations with incomparable attention to detail and excellence.